Go ahead, live it up at Austin's with a private room and catering options. Whether it's your company's luncheon or a personal celebration we've got it covered. 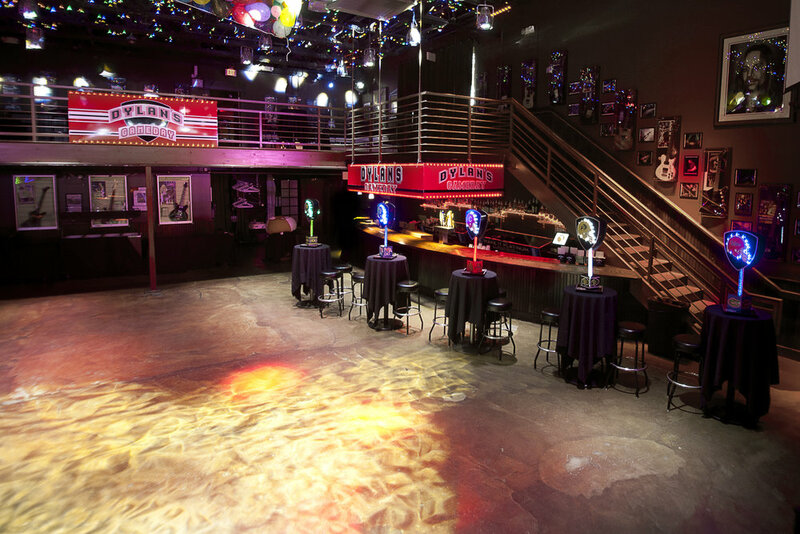 Maybe you are here for a concert at the Fuel Room and you want a space for your entourage to rock it in style. Whatever your flavor we've got a space that's right for you and we will guide you every step of the way to ensure you and your guests have a great time. Looking for a ROCK STAR MITZVAH? The lounge is right inside the saloon, you and your guests will be surrounded by plasmas and the Saloon's rockin' atmosphere. Austin's Fuel Room is one of the few venues that not only offers superb concerts, but home cooked meals that has had Lake County raving for the last 20 years. Now you can rock it like a VIP with our help. We work with you to customize your event's menu to suit your guests' tastes. "Voted Chicago-land's #1 Venue by The Daily Herald Readers' Choice Award"
Austin’s Fuel Room is one of the only venues that can boast of the Perfect night out, combining Austin’s Saloon a full service, reasonably priced restaurant and a state of the art music venue. VISIT FUEL ROOM and check out what's happening now. . .
Buffets include choice of 1 starch, 1 veggie, 1 salad, and rolls + butter. A seated atmosphere in one of our private rooms (Ask about our brunch buffet)!